Be part of TechTalks.ph, the team behind the exciting tech events such as Geeks on a Beach and Startup Weekend Philippines. We are looking for a passionate and digital minded member to join our team and help us make this world a better place! As the Finance and Admin Officer, you will handle financial and administrative-related tasks. Such tasks include but are not limited to preparing and reviewing monthly and yearly financial statements, monitoring cash flow statement and project funding requirements, preparing and analyzing reports, creating budget and forecasting, preparing audit requirements for both external audit and the BIR audit, do corporate tax computations, do variance analysis on the financial results and performance of the company, periodic payroll preparation and management and any administrative tasks assigned from time to time. Potential candidate must possess a Bachelor's Degree in Finance/Accounting/Economics/Business Studies or equivalent with 2-3 years relevant working experience. Interest in Social Media and web/online technologies are a plus. Strong understanding of new technologies and how they can be applied to accounting. Strong understanding of the principles of accounting. Knowledge in forecasting and budgeting. Ability to contribute and implement organizational strategy. 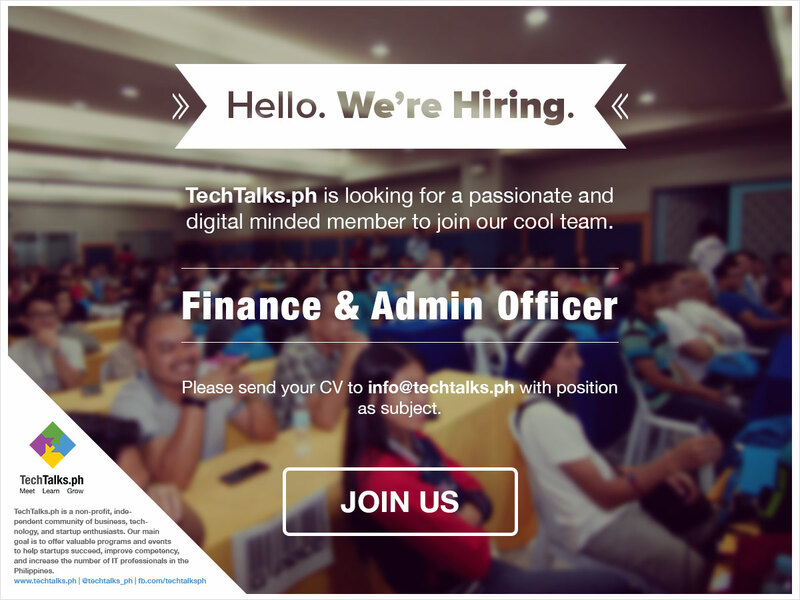 Please submit your Curriculum Vitae (CV) to info@techtalks.ph with position as the subject.